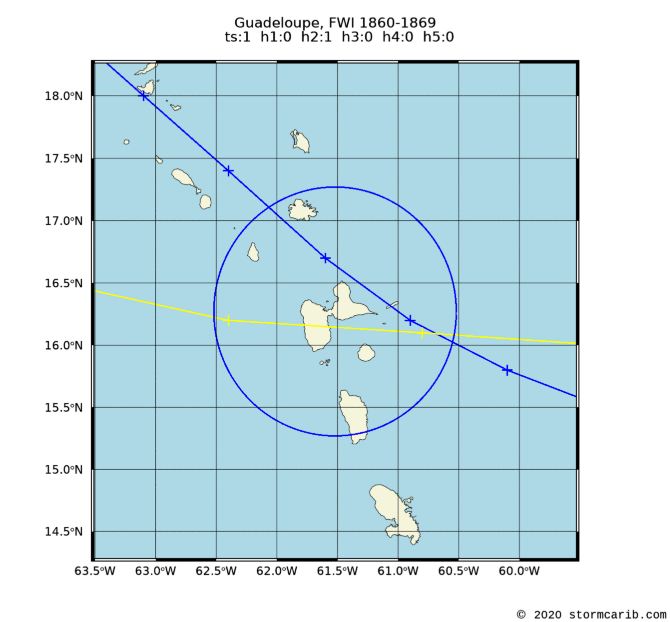 Tropical systems passing within 60nm (= 69mi.) 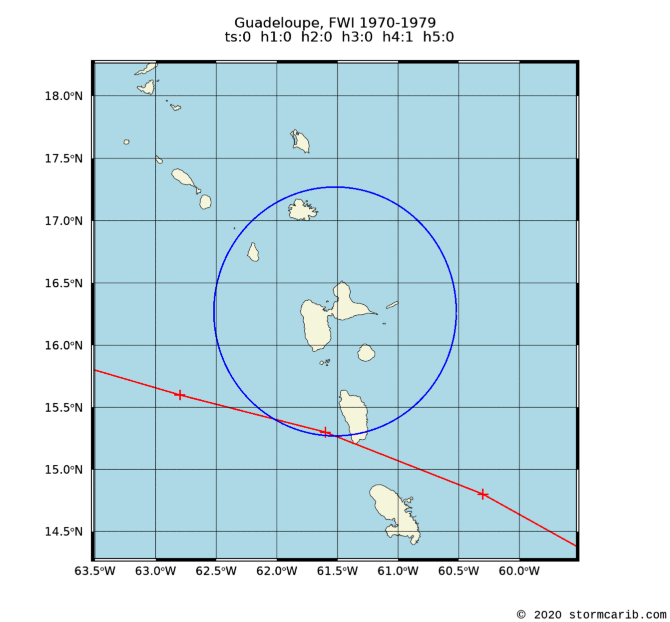 of the island. 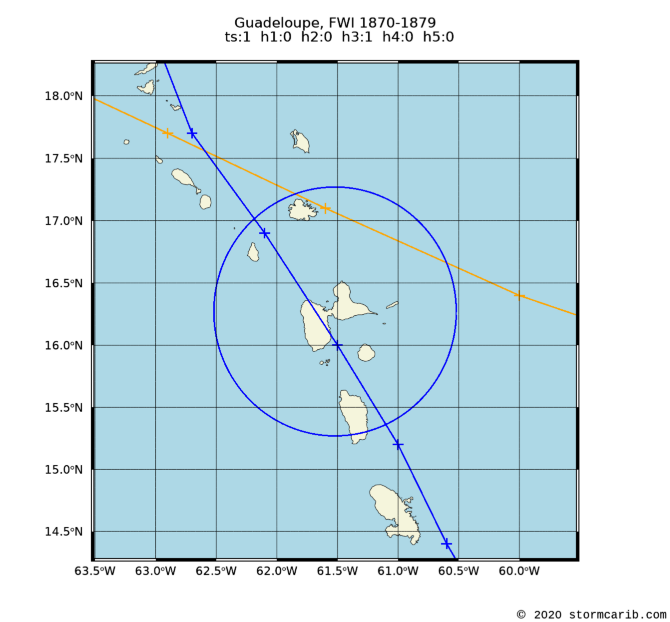 Used latitude/longitude coordinates (16.27N,61.52W) might not be the center of the island. 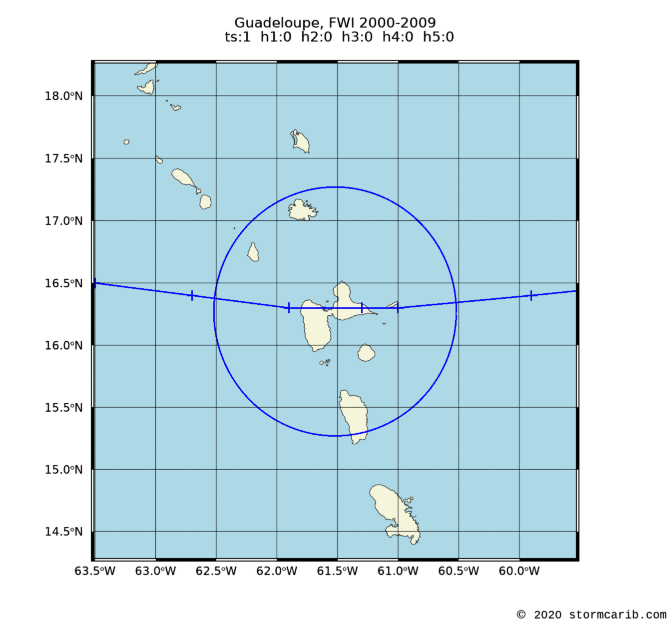 Often the location of the island weather station was used, which is normally at the airport. 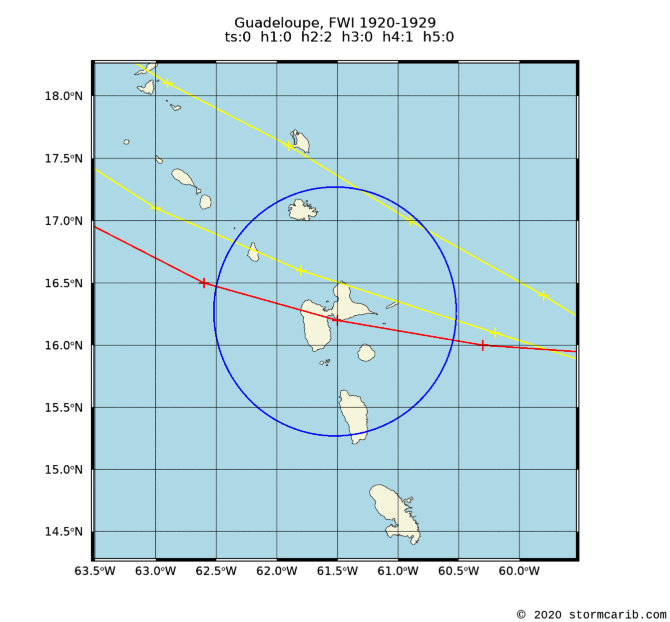 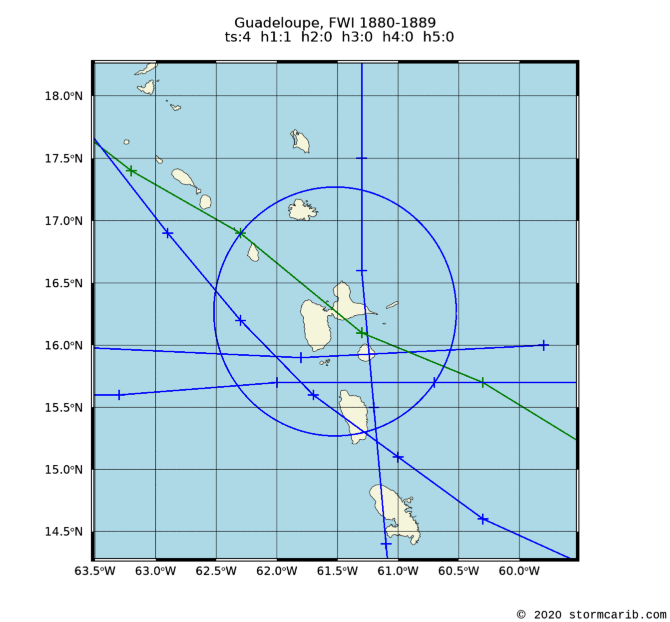 Below you can see all stormtracks for each decade since 1851 for Guadeloupe. 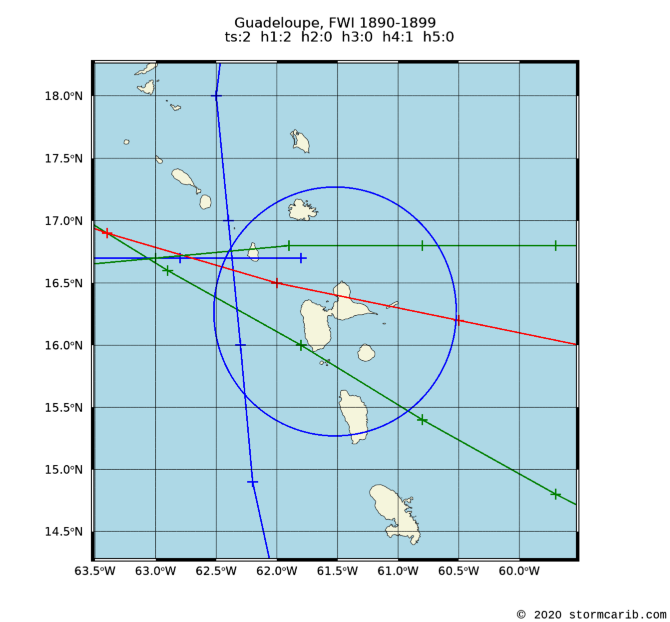 Note that the most recent 'decade' (2010) only consists of 1 year. 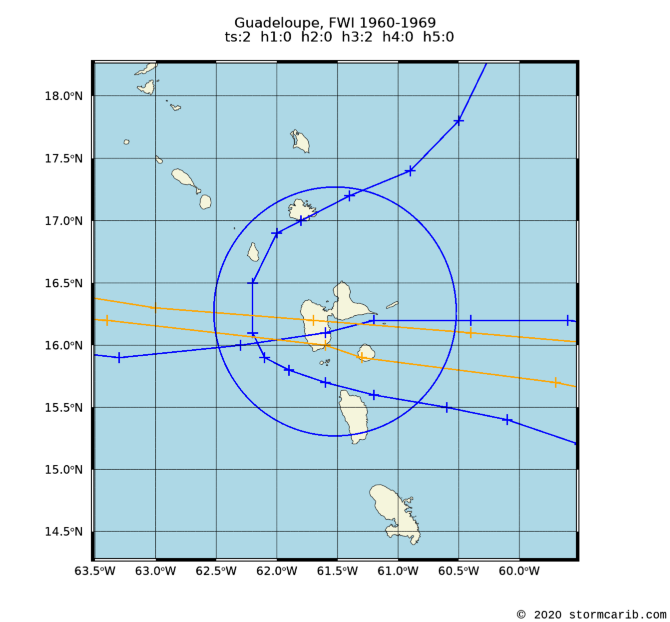 All storms since 1851 in one image [colored spaghetti] can be found elsewhere. 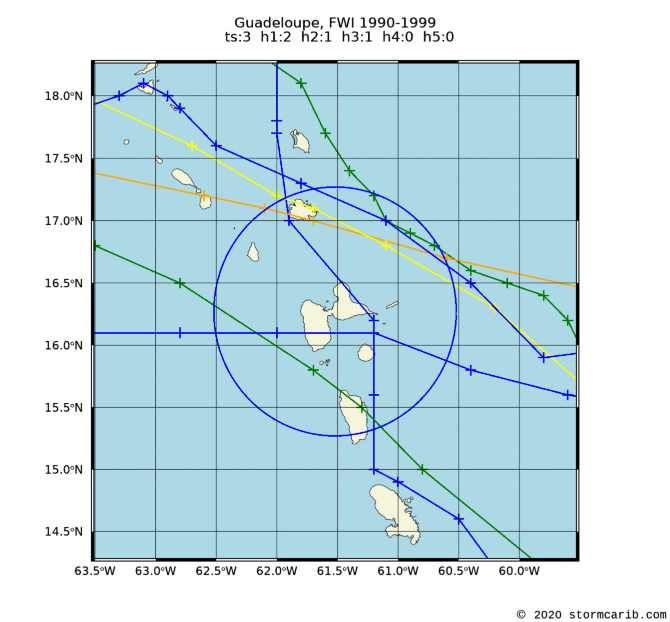 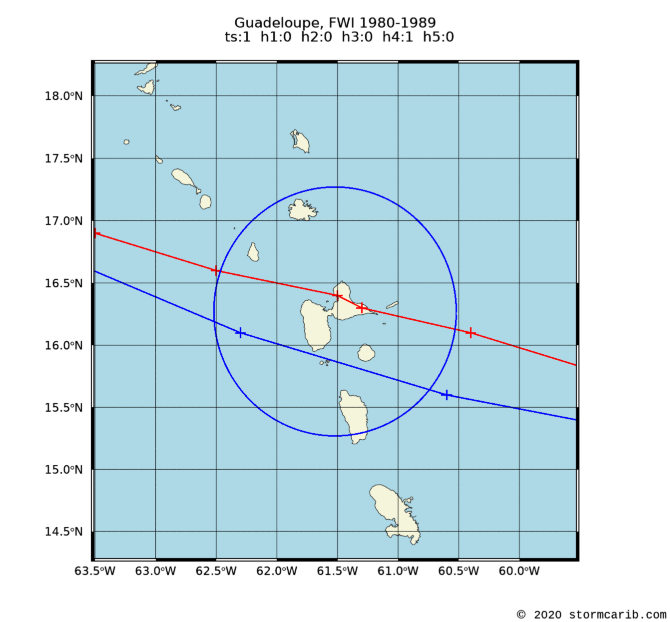 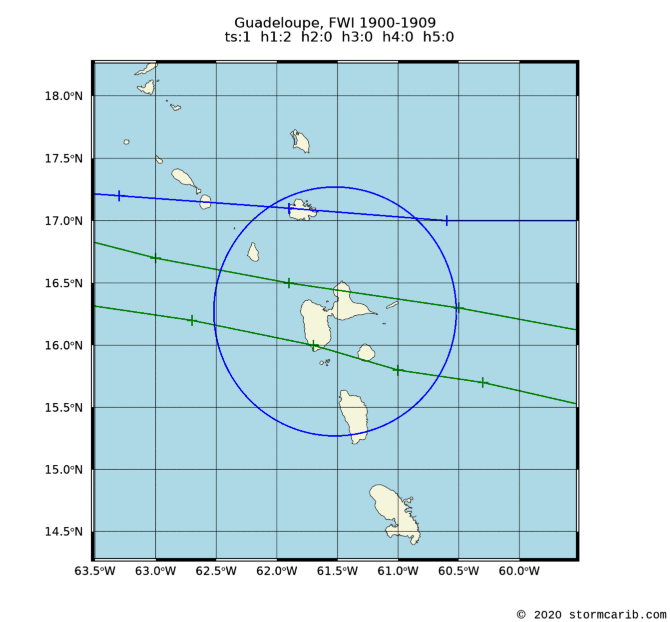 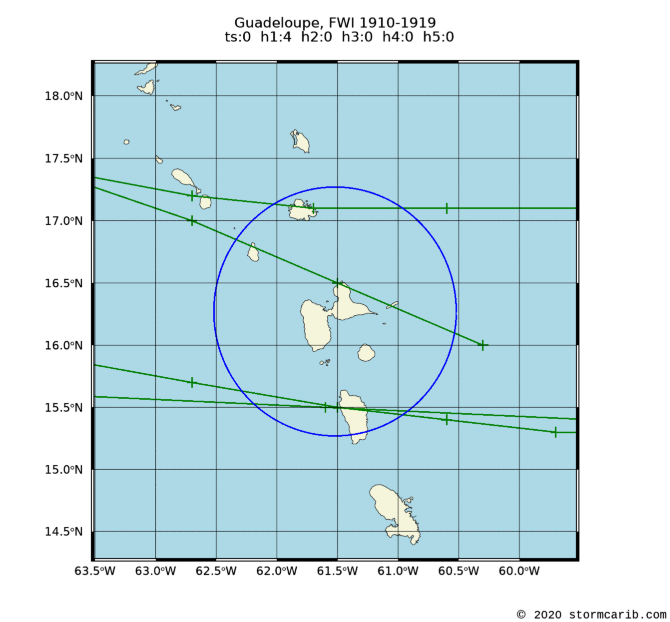 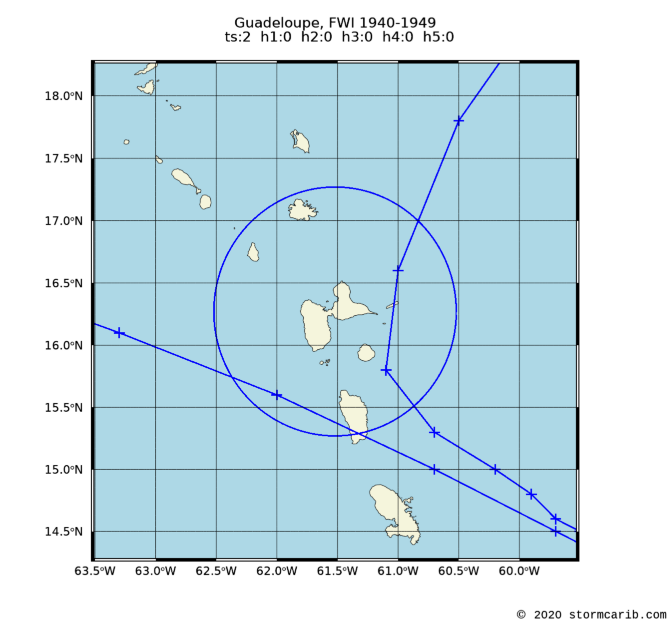 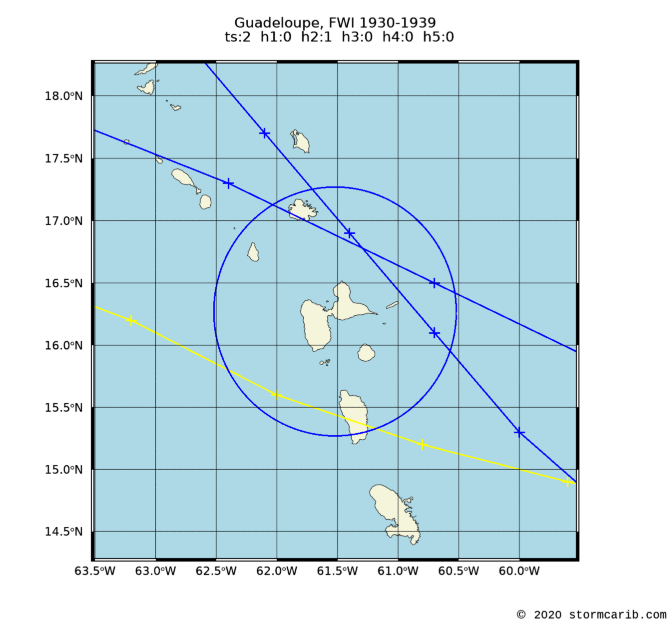 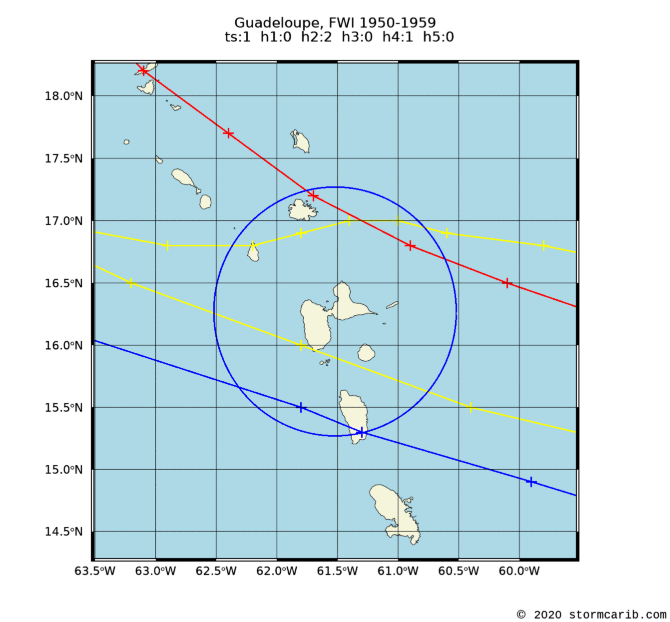 In the climatology section there is also a weekly analysis of the data which shows when the real peak of hurricane season is for Guadeloupe and a five-year analysis to find out if more storms have passed close by Guadeloupe recently.